The Soldiers Wife is about a young war bride called Ruby who loses her Jimmy when he is called up and sent to fight in World War One. He leaves her in Sydney with two choices; Go back to the family homestead in Bourke, or stay in Sydney and support herself. She chooses the latter and takes a job as a book-keeper for a Sydney wood yard which is certainly no place for a young lady in 1915. The attention to detail in this book dropped me right back into daily life of 1915 Sydney. I got a good sense of what life was like for all those that were left behind and enjoyed learning about how family and friends communicated, as well as absorbing all those little nuances and social binds and etiquettes which were the norm at the time. The books takes you through Ruby’s journey and her internal struggle between independence, security attraction and obligation to her wedding vows. The Ruby of today may not have made the choices she did back then, but i’m not sure she would have been better off either way. For me I was left with a ‘sliding doors’ book hangover. What if Ruby had chosen differently? Were her choices on her own terms, or pressure of the times? If you are interested in World War One and what it would have been like to be left in Sydney at the time, or love a book which gets you thinking, or a good old romance, you should get right into this book. I found the book had a ‘voice’ which was an easy one to read, smooth and well paced, with atmosphere, love and tension in all the right places. 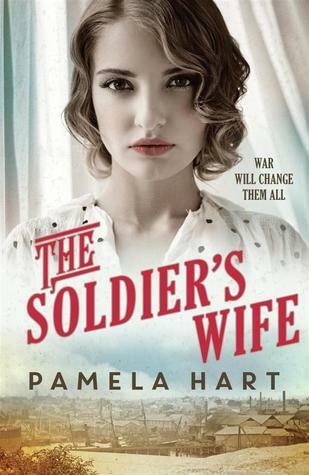 Sign into Goodreads to see if any of your friends have read The Soldier's Wife.